What today’s classroom technology includes? 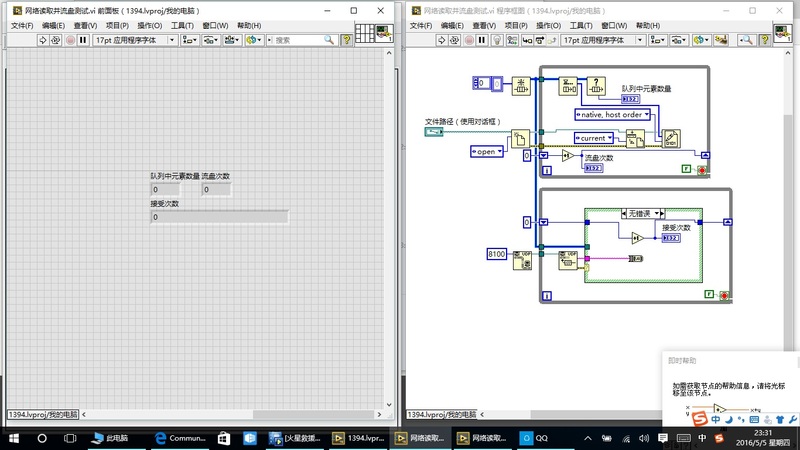 I'm angelafun and come from China, rcently i develop a highspeed communication application which up to 10MB/s using UDP based on Labview2015, the operate system is windows 10. i found that it can't lose datapackge when it runs on windows 10 but it does not like above, it can lose data runing others opereats system such as windows 7 and windows xp. this is test applicaiton which does not add any others code just recive data. Finally, could you tell me how to solve problem? thanks! What about the parental eyes, camera is every where day i snot far what does your kid doing in the classroomm, you know directly, but currently the parental eye is available for schools name SchoolA2Z - School Management Software. - Access Automation Pvt Ltd.
We are an alliance partner of National Instruments. We build test rigs and data acquisition systems. We are in need of an experienced engineer who can assist in Business development activity. We prefer Engineers with good experience in sales and marketing of engineering solutions. Work Experience: Minimum 2 Years. We are looking for freelancer who can able to develop high channel count LabVIEW DSC application. I have a elapsed time constantly running and constantly reset if number more than 1, but if numbers remain less than 1 for more than 3 seconds, a dialogue box will appear asking to continue or not. "Yes" button will help me reset the number again and "No" button will stop the vi. Anyone can help me with this..it seems that my dialogue return zero constant.. I have attachment in vi below, any possible amendment please advice..